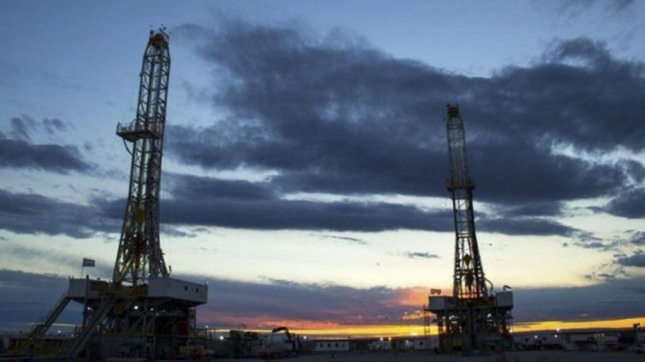 “You have here the ‘next big bang’, the next major event in unconventional hydrocarbons,” said Janeen Judah, director of the US oil company, in reference to the Neuquen formation Vaca Muerta. Judah said that “everyone is talking about Dead Cow and they are asking if the next big shale oil basin is true”. “It is true that they chose an exceptionally bad time, in 2014, to reform their oil sector; But as the price of oil stabilized and the fiscal terms were affirmed I think the investments will reach Vaca Muerta, and this shows great potential to become that next big bang, “said Janeen Judah. The Chevron directive, the first firm associated with YPF to exploit the Loma Campana area, also highlighted the contribution that will come from the advance in large-scale data analysis. “We are seeing a convergence of reliable sensor technology, cheap and widely available communications and a rapid improvement in data intelligence, which improves the way we analyze our fields,” Judah said. He said that “stable prices and stable governments attract more foreign investment and better business,” and said that “we are at a very exciting time: a new perspective has begun for the non-conventional, in the United States and here in Argentina” . Redondo, in turn, reviewed the scenarios for the local energy sector and said that “a very rapid development of Vaca Muerta” is needed to meet expected demand, given a projected annual GDP growth of 3% in the next decade. “To promote this investment we take two measures, the first of which is to intervene in a labor negotiation with the unions, which is not the responsibility of governments, but of companies,” he explained. “But under the circumstances we have reached an agreement with the main guilds to optimize practices and reduce even the high labor cost of gas development,” said the secretary. “We have agreed a plan by which we give a price that we consider high for all unconventional gas, which is US $ 7.5 per million Btu (British thermal unit), that is, more than double what is paid In the United States for natural gas, and we will continue to maintain a price very close to that of import for the next five years, “the official promised. “If we boost production and efficiency, gas supply will grow significantly, by almost 60% over the next 10 years,” he predicted. As for the prospects of non-conventional hydrocarbons in a broader sense, YPF’s executive manager of Exploration and Development Carlos Colo recalled that the company continues its studies in all the basins in which it is present. “The objective,” concluded the director, “is to identify new opportunities with a concept of border exploration, and as part of that strategic line we began to develop prospective activities in Los Molles (Mendoza), although we also see opportunities in the Southern and Gulf basins San Jorge (Chubut and Santa Cruz) where we explore with the idea of understanding the subsoil “. The Foreign Investment and Trade Bank (BICE) obtained a US $ 150 million loan from the China Development Bank, which will be used to finance small and medium-sized investment projects in Argentina, mainly in the Value-added agriculture and renewable energy. “This is US $ 150 million of financing that we have just closed in very good conditions for the Bank, with a repayment term of seven years and two grace periods, and at a very low rate,” BICE President Pablo García told Télam , From the Chinese capital of Beijing, on the credit obtained for SMEs. Between 2007 and 2015, the China Development Bank loaned BICE US $ 140 million in three tranches, and this time the agreement represents an amount higher than the sum of the three previous lines over more than eight years. “There is a lot of interest from the Chinese bank to support everything that has to do with SMEs in value-added agriculture, agricultural products, and renewable energy,” said García, who estimated that with projected disbursements for $ 13.5 billion this year, Will reach about 1,350 small and medium enterprises, given that the average loans are $ 10 million. During the signing of the agreement between both banks were present, in addition to Garcia and the head of the Chinese institution, Hu Huaibang; The President of the People’s Republic of China Xi Jinping, Macri and the Minister of Production, Francisco Cabrera. “We are working so that Argentine SMEs can grow and improve their productivity and competitiveness. Proof of it is that today the Chinese Development Bank is ready to start a relationship that we are convinced will be more than beneficial for both countries, “said Cabrera.